Splatoon fans in Japan now have two new reasons to splurge all their cash at arcades across Japan. Sanrio and Nintendo have teamed up to offer “Splatoon 2 × Hello Kitty Tentacles Mascot” plush toys! 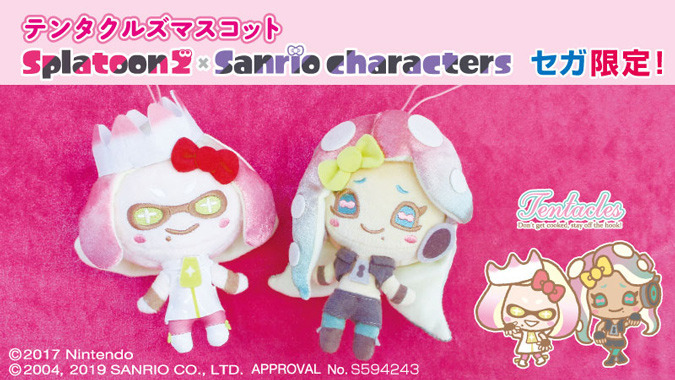 There will be two adorable designs that depict Off The Hook members Pearl and Marina. These two plushies will be available through UFO Catcher machines at SEGA Center arcades starting today (7 February 2019, JST). If you’re in Japan, keep a look out for them!